If you’re looking to get the best possible roof, you need to find the best Monmouth County roofing company. To help you, below are some strategies you can use to find the best Monmouth County roofing company to repair or replace your roof. Your local friends and family are an excellent source for references. Find out if anyone you know has recently had their roof repaired or replaced, and find out what they thought about the work they had done. Once you have a good list of friend suggestions and companies you find online, check each one’s Better Business Bureau (BBB) score and rating on Angie’s List. Make sure any company you choose will be around to honor warranties or perform repairs by choosing local. Some larger companies will set up in areas temporarily and pack up after just a few years. Make sure that any company you choose has been established in the Monmouth County area for at least three years. Going with the lowest bid can be tempting. No one wants to spend more money on a project than they have to. High-quality materials, experienced installers, and insurance cost money, and any company whose estimate is too low is probably cutting corners somewhere. 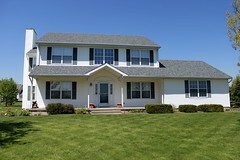 Find a roofing company that will be responsive to your needs and requests. If getting the company to respond to phone calls or emails is like pulling teeth, it may be time to look elsewhere. 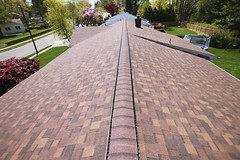 Only go with a roofing company that will give you a free cost estimate. Free estimates are a clear sign of confidence in prices and work. If a company charges, they may be hiding high prices. 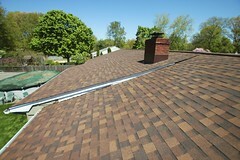 Looking for the Best Monmouth County Roofing Company? 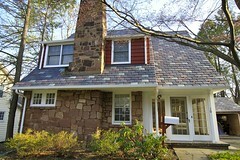 Biondo Contracting is a NJ roofing contractor that has been in business since 1990. Based in East Brunswick and Monroe Township in Middlesex County and Seaside Heights in Ocean County, we service all of Central NJ, including Somerset, Monmouth, Mercer, Union, Ocean and Essex Counties. Our goal is to provide NJ homeowners with quality NJ roofing services whether it’s a roof replacement, roof installation, duct work, gutter work, or various roof repairs. For more information on our roofing services, you can call today at (732)257-2926 or visit the website.